It's been a long time since the last Saturday Night Boxing Pound-for-Pound update. How long? Six months in fact and much has happened in the boxing world since then. Perhaps the biggest fight in terms of pound-for-pound relevance since the last update was the clash between Errol Spence and Mikey Garcia, a matchup between two of the best boxers in the sport. Moving up to welterweight, Garcia was rendered ineffective by Spence's work rate, movement and power punches. As a result, Spence moves up the list from #10 to #8 and Mikey Garcia slides from #6 to #9. Two Asian boxers continue their impressive climbs up the pound-for-pound list. Donnie Nietes, from the Philippines, won a squeaker against former multi-division titlist Kazuto Ioka on New Year's Eve. Nietes, now campaigning at junior bantamweight, has won titles in four divisions. He moves up to #10 from #13. Japan's Kosei Tanaka continues his meteoric ascent in boxing. At just 23 and with only 13 professional fights, Tanaka, a flyweight champion, added to his resume earlier this year by defeating former 108-lb. champion Ryoichi Taguchi in an impressive performance. He moves up to #11 from #15. Elsewhere in the rankings, three fighters make their debut. Josh Warrington, Miguel Berchelt and Wanheng Menayothin enter the pound-for-pounds list at #18, #19 and #20, respectively. Warrington had an excellent 2018, defeating a current featherweight champ (Lee Selby) and a recent one (Carl Frampton), who had been #20 in the SNB Rankings prior to the fight. Miguel Berchelt is in the midst of an impressive run at junior lightweight, defeating three action warriors in Francisco Vargas, Takashi Miura and Miguel Roman. Menayothin, of Thailand, has defended his minimumweight title 11 times. To this point Menayothin (52-0) hasn't faced a Murderer's Row of opponents, but he is starting to build a solid resume. With his eighth-round knockout over Tony Bellew, undisputed cruiserweight Oleksandr Usyk moves from #4 to #3. In addition to Frampton, two other fighters dropped out of the rankings. Adonis Stevenson was knocked out by Oleksandr Gvozdyk and it's unlikely that the 41-year-old will ever fight again. Guillermo Rigondeaux also leaves the rankings. Rigondeaux hasn't had a notable win in years, and his inactivity and quality of opposition leave a lot to be desired. This week's Punch 2 the Face Podcast featured our spring boxing preview. Brandon and I highlighted the best fights in the next three months, some intriguing matchups that are under the radar and a couple of big-name fighters who are in jeopardy of losing. We also looked back at last week's excellent Peterson-Lipinets fight and previewed this weekend's boxing action, headlined by Gvozdyk's first title defense. From the moment the fight between Errol Spence Jr. and Mikey Garcia was announced, I didn't like it. 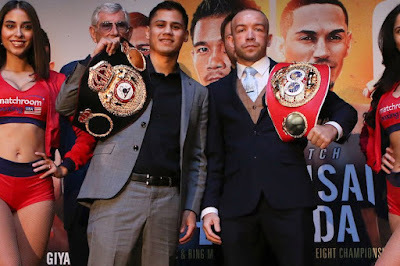 Although Mikey has been one of the best fighters in the sport, holding recent titles at lightweight and junior welterweight, I didn't envision a scenario where he could beat Spence, an elite, big welterweight, with serious punching power, and a fighter who's in his physical prime. However, I'm not Nostradamus. Garcia insisted he saw something in Spence that he could exploit. He's a great fighter, with a brother who's a marvelous trainer. Boxing has seen shocking upsets before with fighters moving up in weight to accomplish the sublime. So while I didn't love the matchup, I also wasn't dismissing the possibility that the Garcia clan had spotted an opportunity to win, a potential Kryptonite for Spence. Humility is important. I certainly don't have all the answers in analyzing fights, far from it. So I kept looking at this fight more and more. Was there a way for Mikey to do a hit-and-run job on Spence, get off and get out? Or pot-shot with quick counters and move? Did Mikey have the desire or the willingness to stink the fight out, similar to how Mayweather or Andre Dirrell have tried to win certain bouts? So if I'm really honest, the fight did hold a bit of intrigue for me. Although I didn't think that these approaches would be enough to beat Spence, perhaps there were scenarios where Garcia could compete. No, I wasn't going to change my feeling on who would win the fight, but I certainly wasn't against witnessing magic in the ring, something truly special or transcendent. But by third round of Saturday's fight, whatever strategy the Garcias planned to incorporate had been rendered ineffective. Spence had been peppering Garcia with jabs and left hands. Already Garcia was shelling up, refusing to let his hands go with regularity. Spence's volume, power, angles and punch variety were causing Mikey to focus on defense. He had felt Spence's power and needed to limit damage. Much of the fight was the same. Spence was busy throwing and landing punches, while Garcia wasn't. 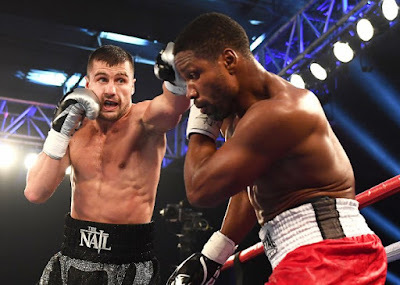 Gradually Spence incorporated more of his arsenal into his attack: jabs to the body, right hooks, looping left hands around the gloves, an uppercut here and there. Mikey was mostly concerned with staying upright. Occasionally he would score with a nice lead or counter right hand, but he lacked the endeavor to follow it up or put punches together. When he was able to make Spence miss or get out of position, he didn't pounce on those opportunities. Instead, he remained on the defensive. Spence had a number of huge rounds in the fight, especially the ninth and the eleventh. Robert Garcia had suggested stopping the fight in the corner, but continued to let his brother get licked in the ring. In the end, the scores were a formality; Garcia didn't win one round on the judges' scorecards. Overall the fight left me disappointed. I didn't observe Garcia selling out to go for the win. There wasn't a coherent Plan B or a willingness to try anything different. He didn't attempt to take the fight on the inside. He didn't try to use the ring and pick off Spence from the outside. I'm not saying that any of these approaches would have led to victory, but where was his desire to improvise or adapt? He was beaten, yes, both physically and technically, but he was also bested mentally in the ring. He was out of ideas mid-way through the fight. For some reason that I haven't quite figured out, Spence has been mischaracterized by many boxing observers. He's not a true knockout artist. He breaks fighters down. He's patient, moving to his own rhythm and timing. With an educated jab and a toolbox full of punches, he doesn't gun for one-shot KOs; he tries to beat opponents into submission. In addition, several of Spence's ring attributes are underrated. Although he's not a speed demon, his footwork is stellar. He consistently moved out of the way of danger when facing a rare Garcia foray. He's also an expert at judging distance. When he's out of the pocket, he's out; he's not one to get picked off by a stray shot. And he uses his physical advantages expertly, illustrating a high Ring IQ. For example, he understood that his reach would be an enormous advantage over Garcia. Throughout the fight he pumped his jab successfully, and with the knowledge that Garcia couldn't hurt him at range. He also didn't get cute. He stayed with what was working. 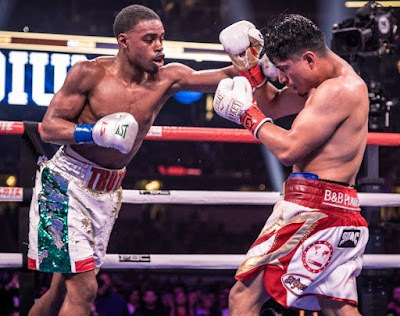 Despite the defeat Garcia remains one of the top talents in boxing, but he bit off more than he could chew against Spence. When Mikey first angled for this fight, his brother and family tried to talk him out of it (this has been confirmed to me by multiple people within the industry). Mikey deserves praise for facing such a tough opponent, but there's no reason to throw bouquets at his performance in the ring either. There are still some great fights out there for Garcia, including Lomachenko if Mikey can get back to 135 pounds or the winner of the 140-lb. World Boxing Super Series. How about Pacquiao? Garcia could certainly win those fights, but there's no guarantee that Saturday's beating won't linger in subsequent performances. Ultimately, Spence was a bridge too far. Garcia quickly realized it in the ring and was resigned to that outcome. Nicknamed "The Truth," Spence has a moniker that is hard to contest. He's well-schooled, poised, intelligent and versatile. Although he may not have the top-shelf athleticism of other talents in boxing, his combination of power, volume, fundamentals, punch variety and a high Ring IQ make him one of the best fighters in the sport. I'm not even convinced that he unloaded his entire arsenal against Garcia; I think that there's even more to come. Spence's rivals haven't been in a rush to face him. The PBC has a plethora of top welterweights available to fight him, but none have chosen to do so, not even for unification bouts or career-high purses. I hope that Spence's handlers realize that his opponents are smart fighters too. They have eyes and television sets. And they probably know what's coming. A huge deposit in their bank account will be needed. Finally, let's not completely absolve Spence from his inability to land marquee welterweight fights. To this point in his career he's been a team player, a loyal soldier, certainly noble attributes. But right now is his time in the sport. He has a lot of leverage, and it's time that he started to use it. If he needs to ruffle some feathers to get the big fights, so be it. The situation may require it. Remember, windows can close at any time. In the ninth round of a fight he was handily losing, Gabe Rosado suddenly turned the tables. Knocked down twice already in the bout and miles behind on the scorecards, Rosado landed a counter right hand that sent the heavily favored Maciej Sulecki to the canvas. Rosado knew this was his moment. As soon as Sulecki beat the count, Rosado pounced, battering him with every power punch in his arsenal. Again Sulecki dropped to the floor, and only the end of the round saved him from even more abuse. The Philadelphia crowd was on its feet. And they stayed that way all throughout the tenth and final round. Their hometown guy, Rosado, was attempting to pull off the type of comeback that epitomized the Philadelphia fighting spirit. Sure, you might be better, more talented, more highly regarded, but we're never going to stop fighting. Rosado kept firing away during the 10th. 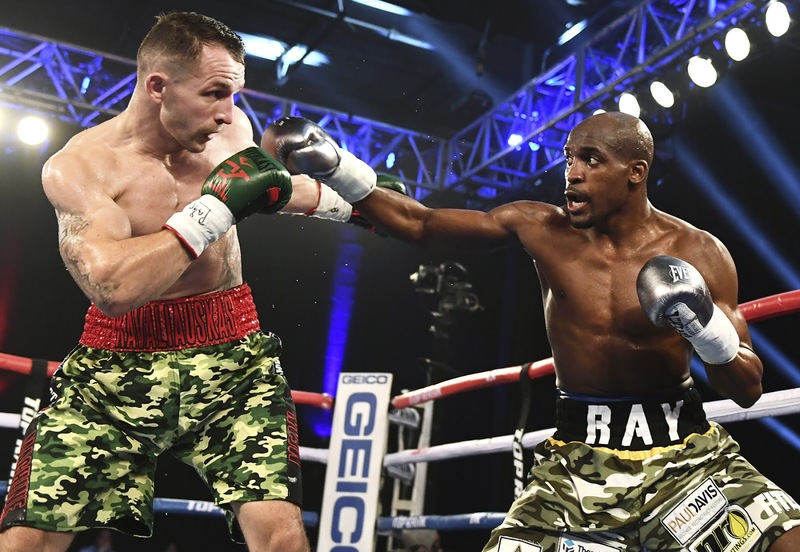 Sulecki was gassed and in survival mode, but Rosado just couldn't find the finishing blow. In the end, Sulecki won by a unanimous decision, which was the correct call. And although there were the obligatory boos when the scores were announced, there was no real controversy. The crowd celebrated Rosado's effort. And while Sulecki may move on to a title shot against Demetrius Andrade, Rosado had extracted his pound of flesh. Rosado had given Sulecki a true Philly fight, one that Sulecki won't soon forget, and one that he won't be in a rush to duplicate. Sulecki had almost every conceivable advantage over Rosado in the fight. He was quicker, fresher, bigger, more talented, his punches were straighter. However, Rosado isn't a stiff in the ring; he knows how to fight. Despite a limited amateur career, Rosado picked up all sorts of pugilistic wisdom in his countless Philly gym wars and facing top competition in his professional fights. As early as the second round, he noticed a flaw with Sulecki. Once Sulecki fired his right hand, he would freeze. Trainers call it "admiring your work" or "taking a picture." Instead of moving out of the pocket or continuing to throw shots, he stopped to assess the damage his shots were causing. In those brief moments, he was wide open for a counter right hand. Throughout the fight, Rosado was trying to focus on those openings. He had a good third round landing counter right hands, straight and overhand. And even though he was getting beaten to the punch during the fight, he knew what he needed to do to turn the bout in his favor. In the ninth, he seized the moment and almost had the biggest upset win of his career. Of course, "almost" could be the story of his career. Rosado has sometimes been derisively referred to as the "Gabekeeper," obviously a play on words with gatekeeper, a fighter who isn't good enough to win at the top level, but can challenge those a step down. Gatekeepers may be seen to some as a pejorative term in boxing, but fighters like Rosado play an important role in the sport. Rosado gives a professional effort every time out and can make for good fights. His record (24-12-1) belies the competitiveness of most of his matches. If there was a break or two that had gone his way (let's say the dubious stoppage against then-titleholder Peter Quillin or the decision against J'Leon Love), perhaps his career would have turned out differently. Nevertheless, he continues to provide good value in the ring. As for Sulecki, he remains a contender in the middleweight division. Perhaps he was overconfident and didn't respect Rosado's power or boxing acumen, but he and his team now have a perfect opportunity to correct a flaw moving forward. Sulecki gave Daniel Jacobs a tough fight last year and he will compete against Andrade, but to win these fights, he needs to tighten up his defensive approach. If Friday helps to correct some of his flaws in the ring, then consider Friday a crucial inflection point in his career. 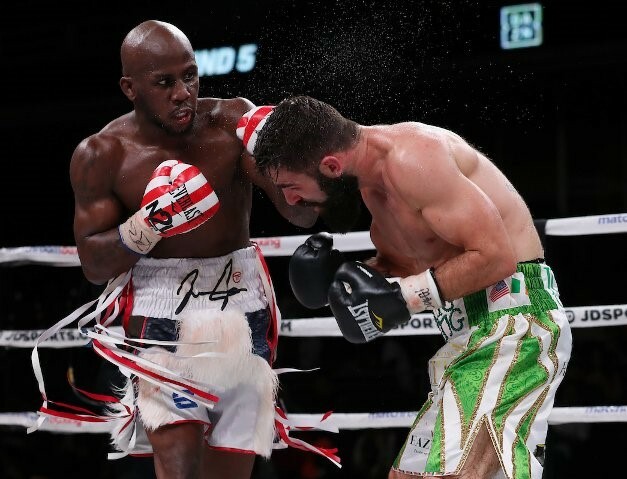 In Friday's main event, Tevin Farmer bested Jono Carroll's almost absurd punch activity (1,227 punches!) to win a unanimous decision. Although Farmer was the clear winner, Carroll made him work every second of the fight. The difference was the quality of Farmer's power punches and his 30 to 45-second flurries during many of the rounds where he looked like a truly elite fighter. Farmer was close to stopping Carroll in the 11th after he landed a series of right hooks, forcing the ever-aggressive Carroll to retreat to the ropes. By the end of the fight Carroll's faced was marked up and his right eye looked awful. Farmer was the deserved winner, but it was a difficult fight for him. Farmer's challenge on Friday was to win the fight without getting dragged into the type of war that Carroll wanted. Matching Carroll's punch volume would have played into Jono's hands. Farmer isn't a volume fighter; he picks his shots economically. According to CompuBox, Farmer threw 404 fewer punches than Carroll, an astounding number, over 30 punches a round! It's rare to see a fighter win when being out-thrown by such a significant margin, but the judges were correct in their assessment. Farmer's work was cleaner and more effective. Still, there were large stretches of rounds where Carroll was busy throwing shots (often missing) while Farmer refused to engage offensively. Farmer was fortunate that he had competent judges. Many judges will often score for the aggressor, even if the fighter wasn't particularly effective. Despite the win, Friday wasn't among Farmer's best performances as a pro. He had problems making weight and his legs didn't look great, especially in the early rounds. When he tried to fight on the outside, where his faster hands and feet should have given him advantages, he was surprisingly ineffective. His jab lacked snap and he couldn't get out of range consistently. Farmer will need to be better against the top junior lightweights. In the post-fight press conference, he graded himself a B-minus or a C-plus, and he had an interesting comment where he said that elite fighters are never satisfied with their performance. Much of this is true, but with Farmer, it's not just a matter of tweaking or fine tuning. He wasn't in top condition against Carroll. He also didn't seem fully focused in the ring. Perhaps he didn't look at Carroll as a serious opponent or maybe the three fights in five months caught up with him – it can almost feel like a perpetual training camp, and the body does need a rest. After his recent activity, I'm sure that Farmer could use a physical and mental break from boxing. The time off can help his body recuperate. Perhaps more importantly, he can use the break to refocus on his task at hand. Yes, Farmer's a champion and a very good fighter, but he's yet to beat a top opponent. And he can't afford to have an off night against the best; he just doesn't have the punching power to erase mistakes or cover over an inconsistent effort. To beat a Gervonta Davis he will have to be at his 100% best and despite his victory over Carroll, he wasn't near that level on Friday. Elsewhere on Friday's entertaining card, there was a grab bag of goodies. 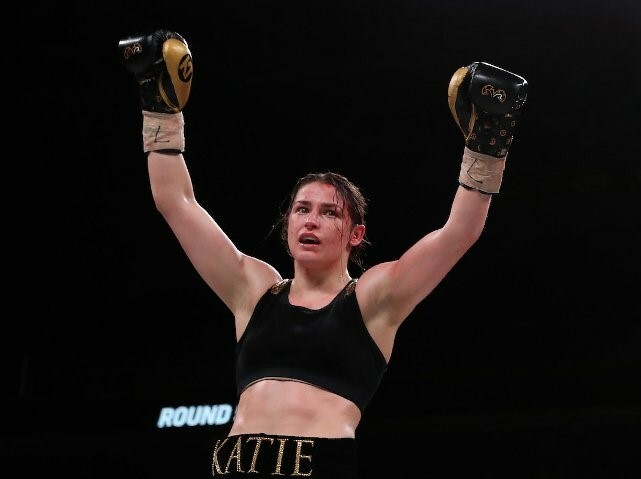 Katie Taylor demonstrated elite skills in stopping fellow champion Rose Volante in the ninth round. Taylor dropped Volante with a beautiful left hook in the first and inflicted damage throughout the fight. I will profess that I don't watch a ton of women's boxing, but Taylor looked fantastic. Her footwork is pristine. Her in-and-out style is difficult for an opponent to time. She goes to the body with menace, and she's no slapper. Her punches have some real bite. Taylor is a huge star in Ireland and there were throngs of Irish media surrounding her in the post-fight press conference. There's a special quality about Taylor in the ring. There's no need to grade on a curve. There's no "she's a good fighter...for a girl," or any of those backhanded compliments that often circulate regarding the best female fighters in the sport. No, she's excellent at what she does, and it's a pleasure to watch her fight. Luke Campbell looked terrific in dispatching Adrian Young in the fifth round. (Some publications have him as "Yung." Boxrec has him as "Young." We'll go with that.) Campbell has become an excellent fighter and has used losses in his career as an opportunity to improve. He does a wonderful pull-counter where he will make an opponent miss by inches and then come back with a hard straight left or right hook. He also digs to the body mercilessly. Campbell should be in line to get another title opportunity within the next 12-18 months and I wouldn't count him out. Yes, he can be outworked and he's not a tremendous athlete, but he's a smart fighter, he knows what he wants to accomplish in the ring and he's technically sound. Plus, even though he's 31, he still seems to be getting better and better. Daniyar Yeleussinov is one of Matchroom Sport's high-profile prospect signings. A two-time Olympian from Kazakhstan and a gold medalist in the 2016 games, Yeleussinov, 28, is supposed to be a fast-mover as a prospect. However, his fight with Silverio Ortiz on Friday demonstrated that he still has a way to go before challenging the top fighters at welterweight. Yeleussinov has great feet and good hand speed, but still has a number of amateur habits that are serious concerns. He often will throw shots at half-speed in the pocket, but then won't get out of the way or throw additional shots. He's a sitting duck to be countered. Overall, he doesn't fully commit to his power shots, which is not uncommon for developing fighters, but it's still an issue. Whether or not Yeleussinov makes these improvements has a lot to do with his temperament. Does he already view himself as a top talent or does he recognize the need to make these improvements? Does he have humility and a willingness to learn? There are a lot of raw materials for a trainer to work with regarding Yeleussinov; let's hope that the fighter knows that he doesn't yet have all the answers. Finally, the Philadelphia crowd was treated to a fun lightweight tussle between Hank Lundy and Avery Sparrow. A true crossroads fight, Lundy, 35, the former title contender, set out to prove that he is still a significant factor in the top levels of boxing, while Sparrow, just 25, wanted to make a statement that he is worthy of the type of opportunities that Lundy has received throughout his career. On Friday, youth prevailed. Sparrow scored two knockdowns in the second round and while Lundy came back in the second half of the fight, he had too big of a mountain to climb and lost via majority decision. Lundy-Sparrow was a spirited battle. The crowd appreciated the two hometown fighters giving it their all, which is what the expectations are for Philly boxers – not championships or titles or glamour or flash – but giving your best effort. Every. Damn. Time.